Another week has passed……and I didn’t get very many entries in. It has been a pretty good week for the most part. My mom is still having some sensations on her skin…..so that can be troublesome. Tuesday we were supposed to head to HCMC for a doctor’s appointment but we had to re-schedule due to ANOTHER unexpected snow storm. Please God….make that one be the last! We were just starting to see grass on our lawn & then overnight it was all back. Grrrrrrr! The weather has been pretty nice since, so I am not complaining too much. Hopefully the snow will stay away so that we can get to the doc this next week. Wednesday Pastor Roger came for a visit which we always love! Thursday Catey & Amy came over, so we spent the day chatting away. And Friday we went shopping with my sister at our favorite store Von Maur! (Oh, and our friend Jane came over!). Retail therapy always puts a smile on my mom’s face & renews her outlook on life. We are especially looking forward to all of the snow getting off the ground so we can enjoy our outdoor walks again. They have been missed SO MUCH!!!!! Today the Swarm had an early game for once. It was nice to head down for the game during the day. 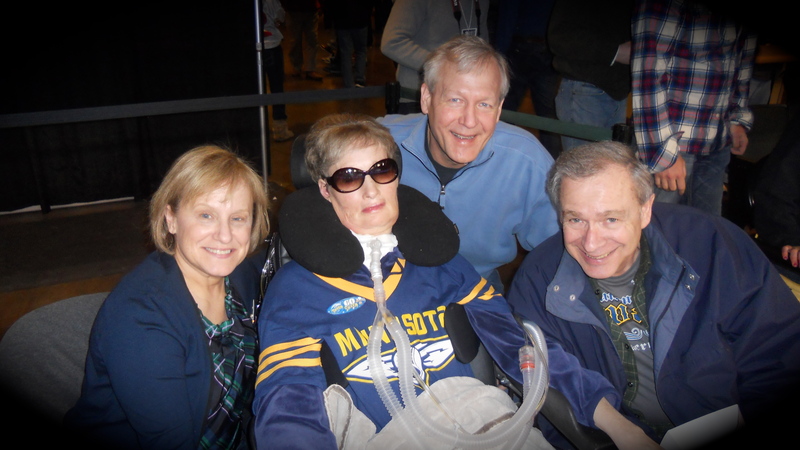 Jenna’s husband Ross’ family was there for their first game & we had a great time. Jenna also had a bunch of Dental Hygiene friends cheering her on! (Sorry that we didn’t get to say hi to you ladies……we are glad that you could make it to a game!). And now we are back home with my mom tucked in bed and waiting for Celebrity Apprentice to start. And that is all for today! I hope that everybody had a great week….and thank you for checking in with our crazy family! Prayer for Julie: Pray for these crazy sensations to go away. They are creating un-necessary anxiety & elevated blood pressure. Believe me…….I am praying too! What are those Eagles up to now? Another few days have passed & I can say they have been both good and bad. My mom has off and on had the feeling that things are on her skin. If she is not entertained with company or activities….she tends to get these sensations. So, I would say that 75% of the time has been great, and the other times we spend searching for things/problems. All looks well with mom though. Her body appears to be in excellent shape. I really hope that these sensations go away! So, Friday we headed back to the Mall of America for some walking. The mall was packed! I thought the customers would all be outside since the weather was gorgeous. But apparently they were all at the mall instead! I cannot believe what great “people watching” the mall offers. 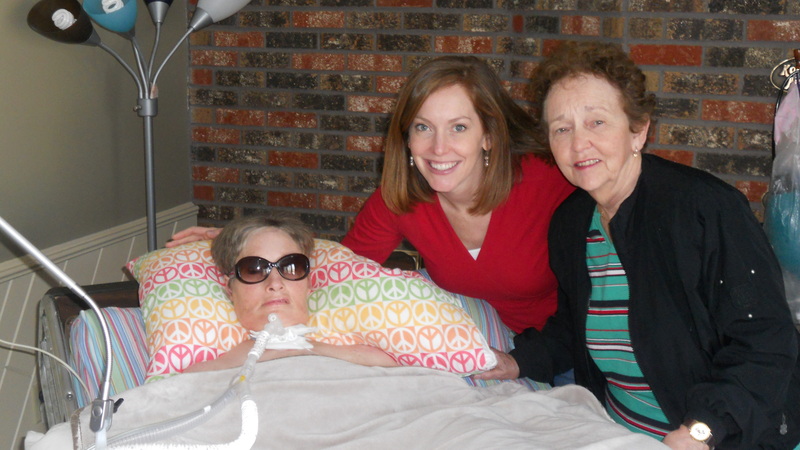 My mom being in a wheelchair & on a ventilator seems completely normal compared to the things that we see. It is very entertaining! haha. Friday evening was dad’s night off, so mom & enjoyed an evening of Lifetime movies. They always come through with us! Saturday my friend Kate & her “mama Jan” came over for a visit. 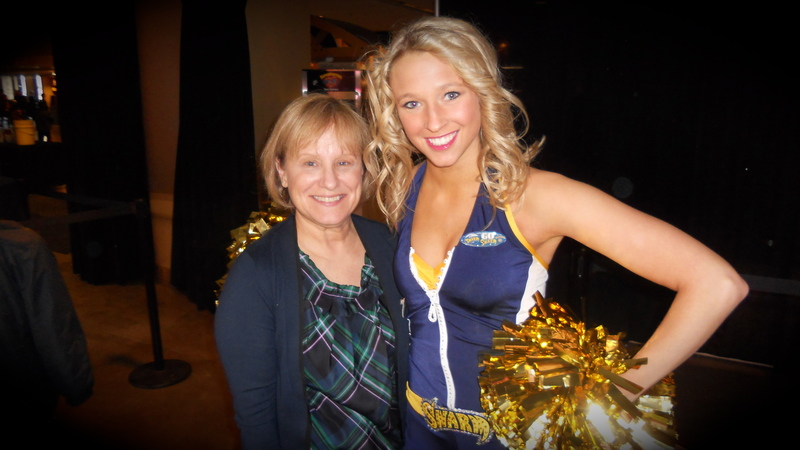 Kate lives in IA & my mom absolutely adores her…so it was a fun visit. We caught up on all the juicy gossip. Just kidding! We don’t gossip! haha. It was really fun to catch up & for my mom to see her growing prego belly! 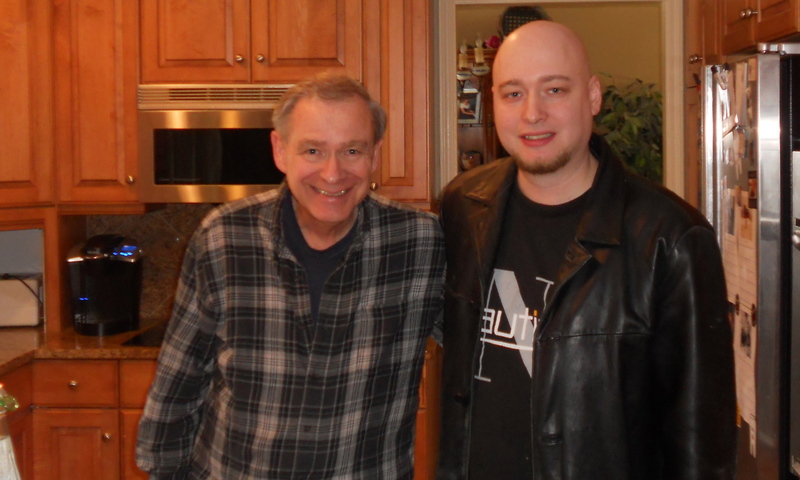 Later that evening my brother Nathan stopped by for a visit. What started out as a short visit turned into a 5 hour visit. That is my brother for you! It was good to see him & we had him all to ourself with no kiddos. Today my sister stopped by with Caribou & entertained us for a little bit. And last but not least, my mom and I just got back from dinner with our friend Amy! I would say that was a pretty good weekend. My mom seems happy & we haven’t had any “body sensations” yet today. That can change on a dime though….so keep those prayers going! I am going to post a funny picture that I just found on my camera. It is from last fall after my mom and I had gone to the grocery store. People must think that we are crazy! 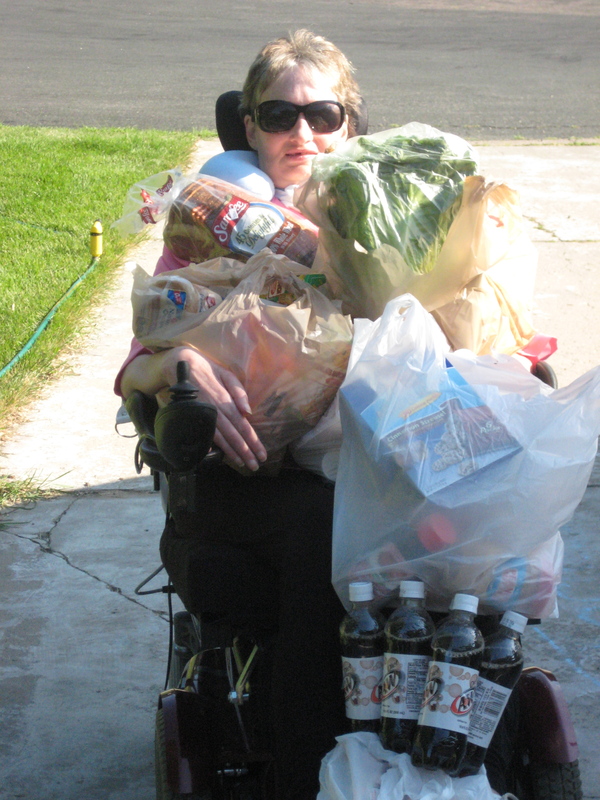 Because her wheelchair is so big….we improvise by putting the groceries on her lap. That is all for today! We are looking forward to another good week! Happy Sunday to all! Many people who are close to me..know that St. Patrick’s Day is one of my favorite days. I am not Irish….at least I don’t think I am, but there is just something about a day dedicated to the color green! It also makes me feel proud of my four-leaf clover tattoo that I went behind my parents back in High School to get. I lied & said it was a temporary, but my mom caught on when it was still there 6 months later. Oops! She forgave me quickly, so I was lucky. I don’t think that she wanted to admit it…but she liked it as well. haha. Kelly green is also my favorite color & I have always found it to be lucky for me. And I have a Shamrock plant that has been alive for about 4 years now! So there you go! All this reasoning comes together & explains why “I love St. Paddy’s Day”! It has been a pretty good week here at Casa de Eagle. Over the last couple of months my mom has developed a new ALS symptom. It has been extremely frustrating & mentally waring on all of us at times. My mom has been feeling sensations of things on her skin. Sometimes she feels like it is dry skin that needs to be peeled off, or she feels string, or loose teeth in her mouth. I know, kind of crazy. At times my mom has been consumed by wanting me to find the thing that is bothering her & gets frustrated when I cannot. At first I was wondering if this was a mental thing….but she is still sharp as a tack! Our only conclusion can be that her body is for some reason sending signals to her brain of her feeling things. Over a troublesome couple of months…my mom has finally come to the conclusion that nothing is there. This conclusion came with her needing lots of proof. We are thankful that the feelings have subsided over the last few days & continue praying that these feeling will go away. Frustration = unhappy mama Jules & frustrated Kelly. Aside from those feelings, we have been enjoying the crazy good weather outside. We can actually see grass in our yard today! Amen!!!! We have enjoyed some days running errands outdoors & having lots of visitors! Thank you to all of the peeps that have been over lately. Your visits always mean so much to my mom & I! 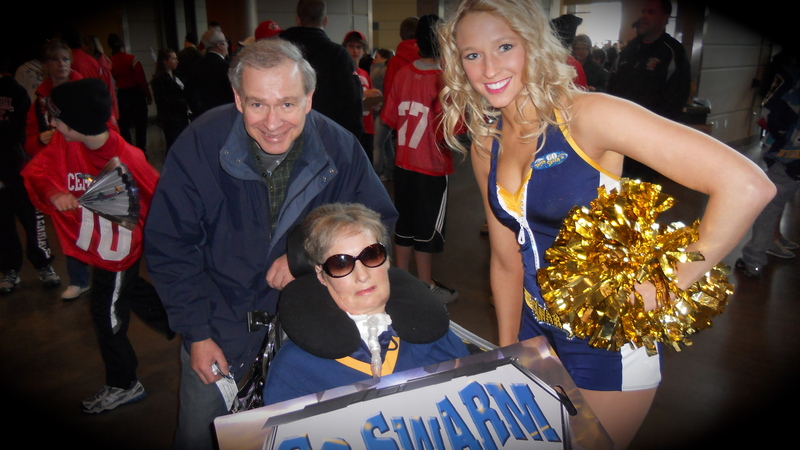 Jenna was in the St. Paddy’s Day Parade in St. Paul today for the Swarm. It was just her, another performance team member & Buzz the mascot. Here is a link to a super short little video of them living it up. She said she had a great time! 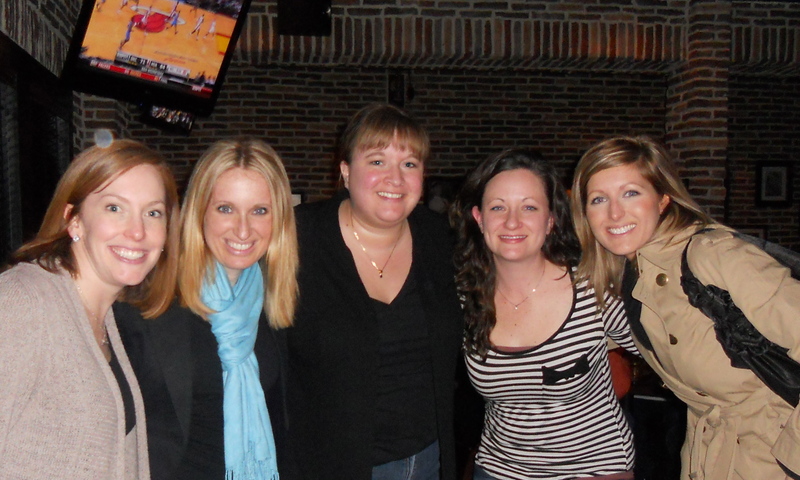 And lastly, I was able to grab dinner with some girlies last night. I think I forgot to mention, but my “bestie” Kate is pregnant! I am so over the moon thrilled for her! It is her & hubbies 1st child. I think it is a girl. I am psychic you know! Our friend Jana is also pregnant with her second child & a month ahead of Kate. Neither lady looks prego! Thanks for a fun evening ladies! And that is all for today! Happy St. Paddy’s Day! Looks like I slacked on my blog a little this last week. I am not really sure how the days got away from me. Overall, the week was pretty good. It took me a couple of days to recuperate from my crazy girlie weekend. My throat was killing me & my feet continue to ache. Monday my mom and I stayed home. 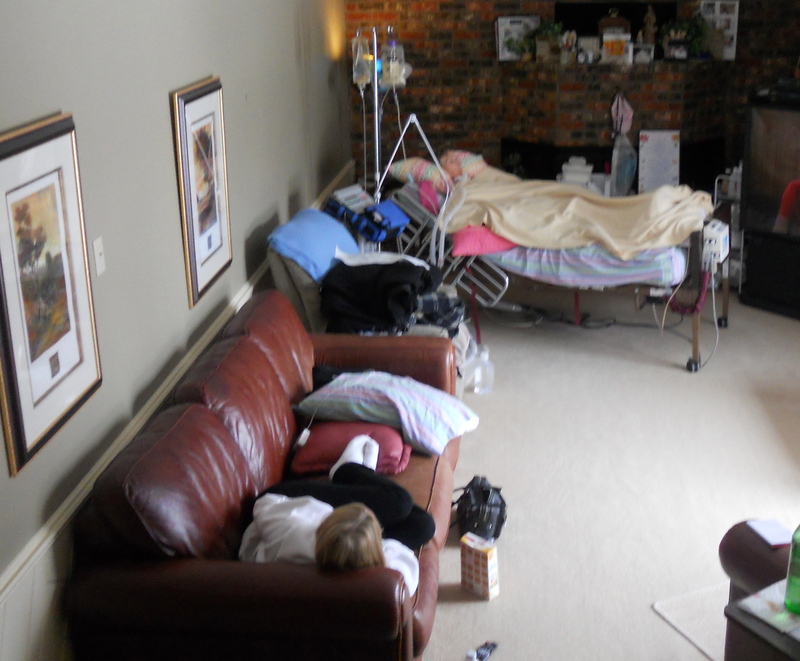 This was day # 4 inside the house for her. Deanna came and did her bio-feedback & I would give myself a C+ on caregiving since I was still pretty run down. Sorry mom :(. Tuesday my Crate & Barrel bedroom furniture was delivered so mom & I were stuck inside again. This was day #5 inside for mom. Again, sorry mom! I would give myself an A for caregiving though! Was feeling much better! Jenna came over to give me the night off & spent 90% of the time staring at her tonsils. It was all very dramatic…..but she is feeling better now. Thank golly! Wednesday I woke with a sore throat. Ok, maybe this blog is starting to sound like waaaa waaaa waaaa. Really, we aren’t usually in this bad of shape! Since I was feeling cruddy, mom agreed to stay inside one more day. This was day #6 for her & she was not too happy about it. I also missed out on Book Club. On to Thursday. The stars were aligned this day….so mom and I were ready to head out of the house. I was feeling better & mama Jules was ready! We decided to head to the Mall of America & go walking with our friend Amy. It was the perfect outing & we had a great time! Friday my mom and I decided to go and see the movie Cedar Rapids. At first I didn’t know if the movie was going to be any good. It was a bit odd at first. Then it got really funny & turned out to be great! I even saw my mom crack some huge smiles which I loved. Saturday we stayed inside. I read the book “Pope Joan” to my mom for a couple of hours. I have read it before…and I knew she would like it. Dad gave me the night off….so I went to run some errands & enjoy “Kelly Time”. 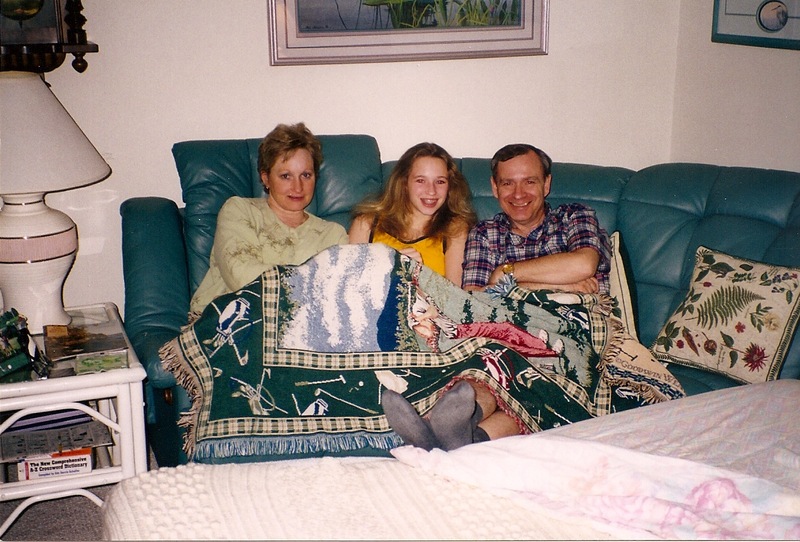 There were 2 good lifetime movies on the tv, so mom & dad were set. upstairs…so I had to take a picture! 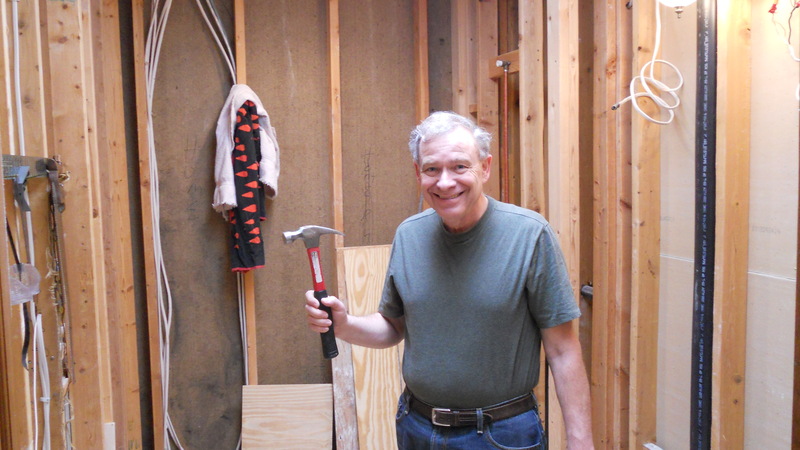 He tore this bathroom up before my mom was diagnosed with ALS, and then put the project aside so we could focus our energy on her. It has been about 5 years, so it is time to finish the project! So, that is about it for now. The rest of our day will probably consist of relaxing & maybe doing a little more reading. I hope that everybody is having a great Sunday & happy Daylight Savings Day! Prayer for Julie: Pray for continued happiness & joyful spirit. Spring is almost here! We have almost made it! I am out of here! This is going to be a quickie because I have a million things to do before I leave tomorrow. I am heading to Breezy Point with 5 other ladies for a girlie weekend! After letting my dad go to Florida for 5 days….I am really looking forward to a relaxing time away. I know it sounds completely crazy, but I haven’t been away from my mom for more than 2 days in over a year. In a way I feel a lot like a parent with a ton of responsibilities. My mom has been completely awesome lately! We had a really good time together when my dad was gone & just enjoyed it being us two. We were able to get out last Friday, Sunday & Tuesday. All of them were shopping trips. Yay! My dad arrived back home on Wednesday. He had a great time in Florida & seems really happy. He was sure to let us know all of the details including everything that he ate. haha. Gotta love him. Amy and Dori came over today for a visit. Amy even brought me a bottle of wine to get my ladies weekend started. Thanks Amy! Jenna has been a little under the weather with Tonsilitis…but she seems to be feeling a little bit better. I hope she is ok so that she can help out this weekend. Dad & Jenna are on duty! Go team! That is all. Told you it would be quick. I will be sure to take a shot this weekend for you all! haha. Just kidding Jenna! Prayer for Julie: Pray that she doesn’t miss my sweet smiling face too much this weekend. And pray for things to go smoothly!